I got excited when I saw your post, I adore basil, I have 15 plants, basil is coming out of my ears right now! 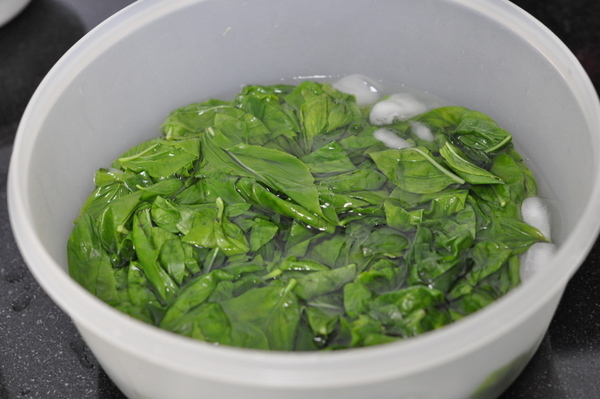 I do blanch my basil first I saw Michael Chiarello do it a long time ago and you're right it does keep bright green. 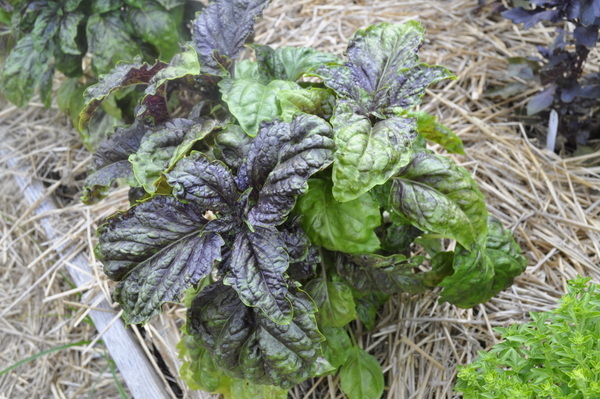 I want to look for that lettuce leaf basil for next year and great tip on the smaller leaves! Look at all of those different types of basil!!! Loving it. 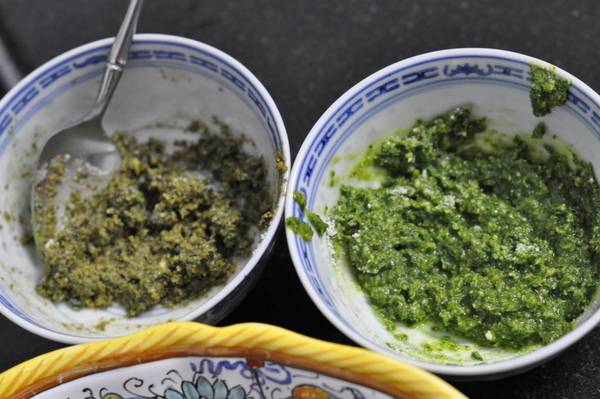 Yep, most anything can be pounded into a pesto. Last year I used fennel fronds and it was excellent. This year I am eyeing a friend's gigantic asparagus patch! Gorgeous basil photos! 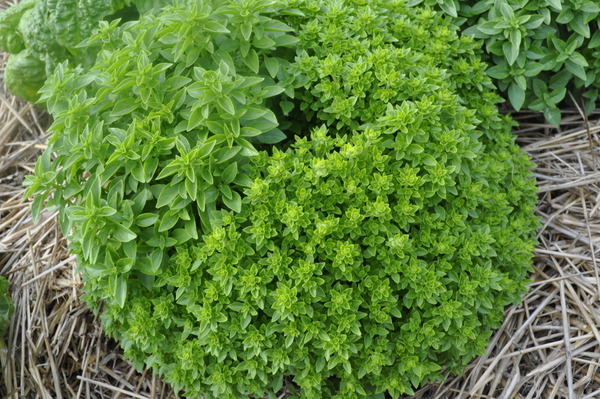 My basil is getting very tall so it is time for me to make some of this. 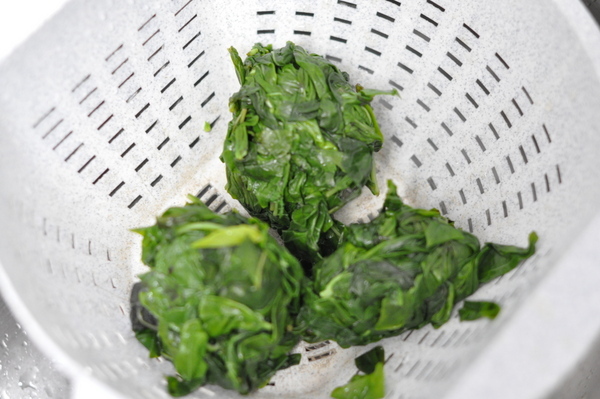 I have never blanched my leaves! I am going to do this from now on! and pistachios? Sold! I have been using walnuts because I am afraid of pignoli nuts lately. Great photos of the different varieties-I want to find some of the curly leaf. Thanks for the tip about blanching-I never do that! 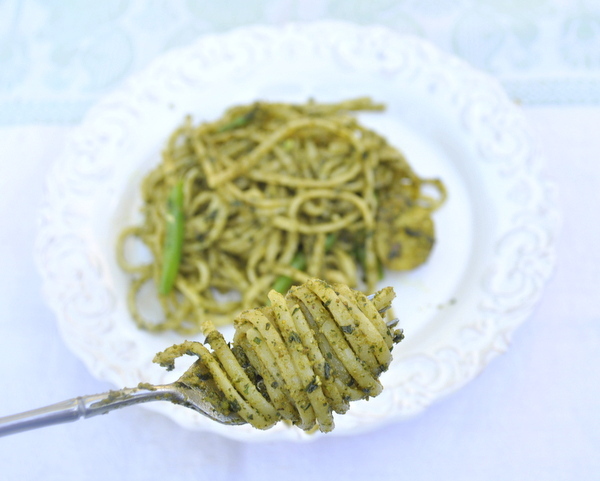 Basil pesto is my daughter's favorite pasta sauce! My husband's Genovese aunts and uncles also told us on a visit to only use the smallest leaves of a basil plant for the best, most intense flavor when making pesto. 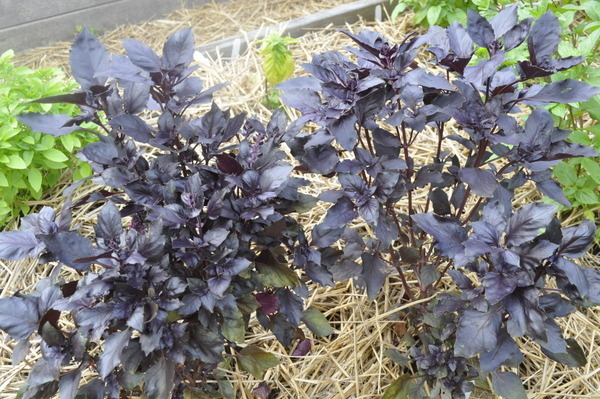 I grow regular, Thai and lemon basil plants — I never saw the small leaf basil plant before — that is a nice variety! It is so hard to find domestic or Eurepeon pignoli nuts amywahere –even in the best Italian import stores! I never knew about the "pine nut syndrome" but I don't trust a lot do Chinese imports — did you notice that most supermarket garlic is also imported from China? I've been subsituting walnuts in my pesto with good success, but I'd love to try pistachio nuts next time. Well what a wonderful post. Basil always says summer to me. As I read I imagined how wonderful your kitchen must have smelled as you and your neighbor were at work. 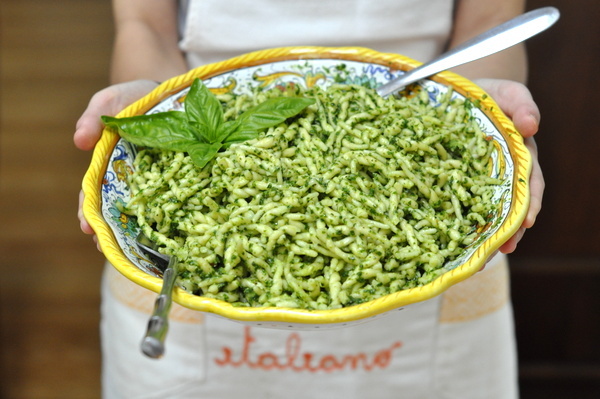 And indeed, those small leaves make a fine pesto – they take a bit more work, but I think it is well worth the effort. And aren't all the different varieties something? They really are all different, and it is quite remarkable to smell and sample each one. Thanks for another terrific read! 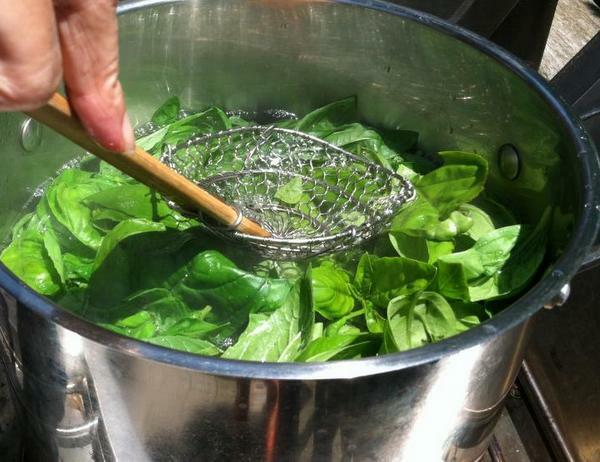 I just saw another article on blanching the basil to keep pesto beautifully green! Great idea. I can't wait for my basil to get prolific enough to make some. I love using the different basils. 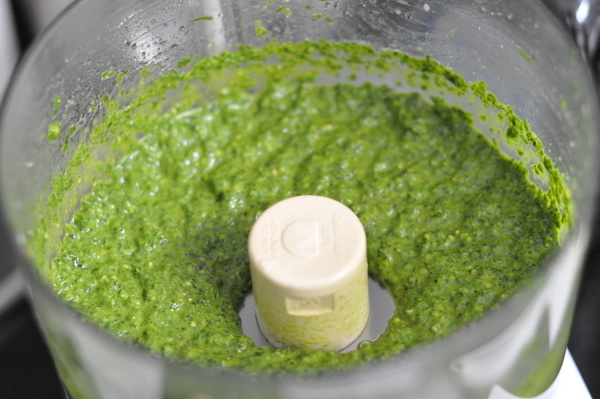 I actually do freeze the pesto with the cheese and an extra layer of olive oil to preserve greenness. 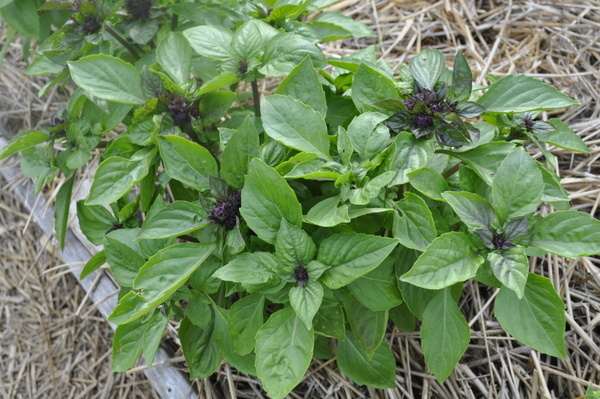 When I am back cooking I shall try blanching the basil. And yes, only Italian pine nuts. 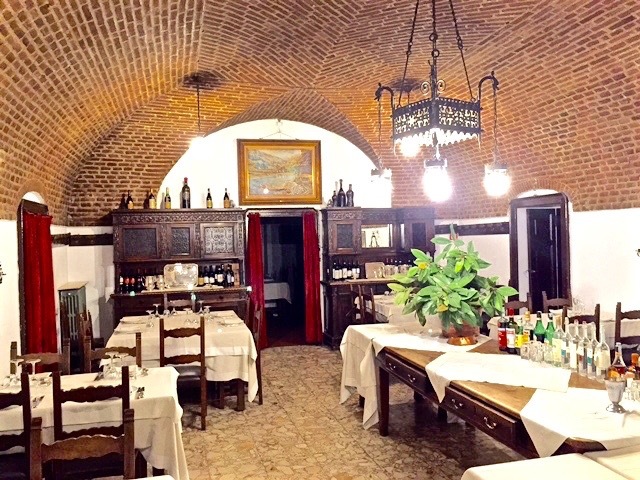 non avevo mai visto tanti tipi di basilico, bellissime foto Linda! 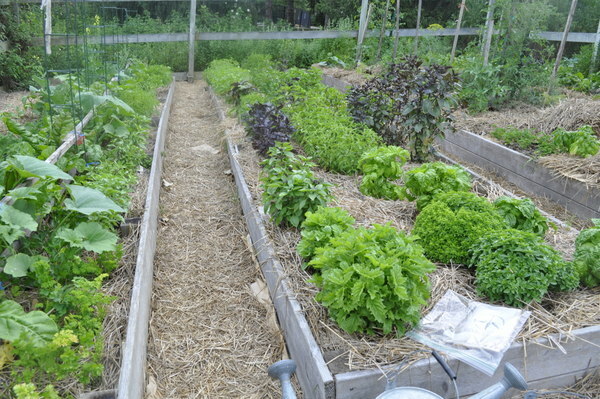 Such a beautiful vegetable garden. Love pesto! I have some of the tiny "globe" basil growing this year, Linda, and it is so beautiful. 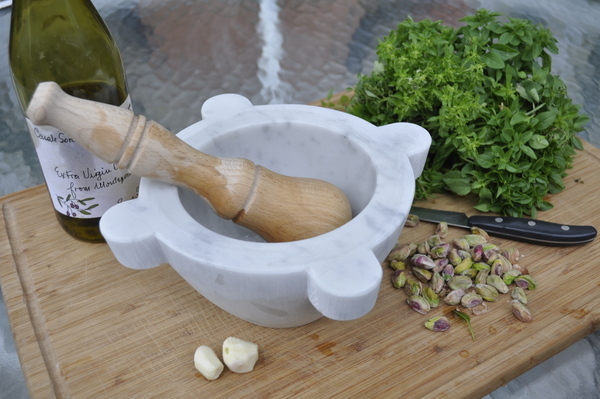 I will have to make some pesto with it after seeing yours. 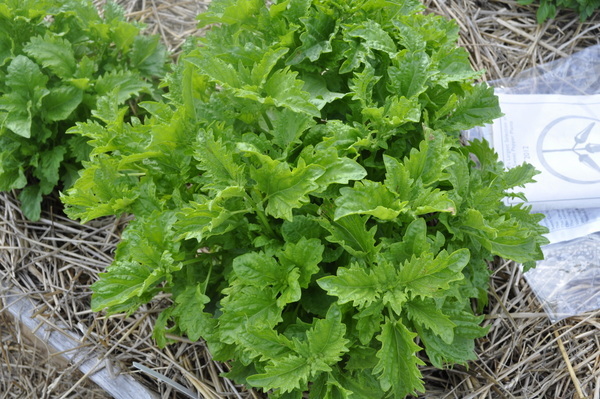 The leaves are so tiny, they don't have to be cut or ripped for salads. And I love your travel photos – have a wonderful summer! Such bright and beautiful pesto! 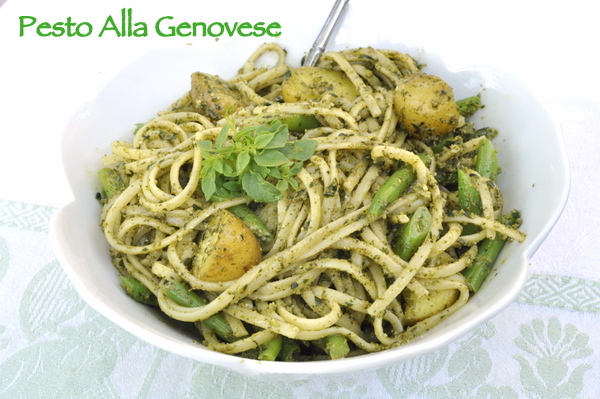 I could eat the bowl of pesto spaghetti in seconds! New follower! I love this blog! I'm so excited you shared this. I've got fresh Basil coming up now! Ha! 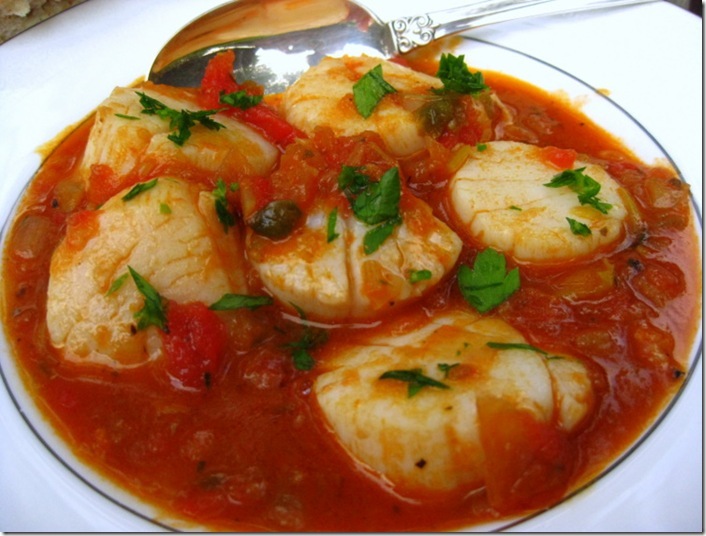 Linda, did you see the 2013 May June issue of Cook's Illustrated? 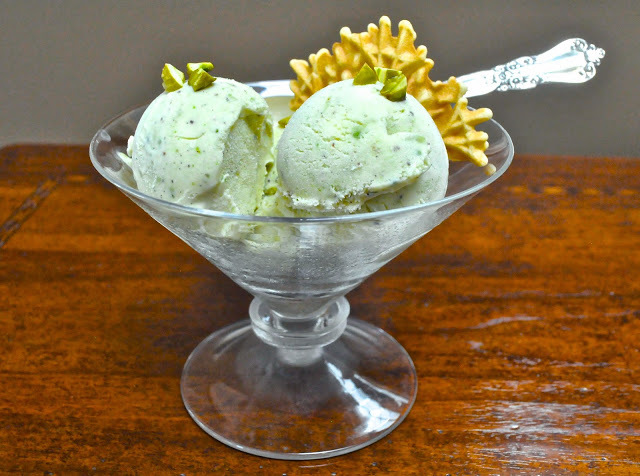 Their Kitchen Notes section, page 50, has a piece "Keeping Basil Green in Pesto" in which they discuss blanching. M'dear, you scooped them. How cool is that?! 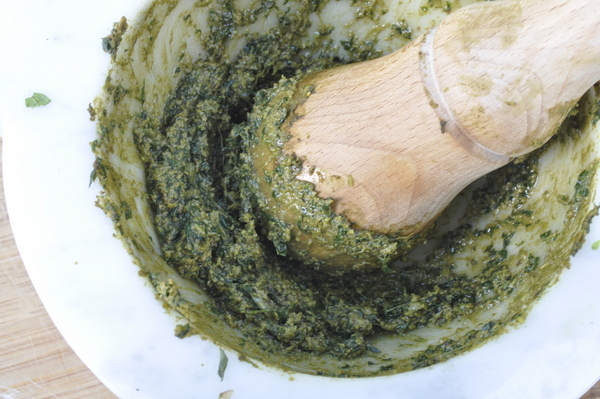 You article really is wonderful, required reading for pesto season. Well done!